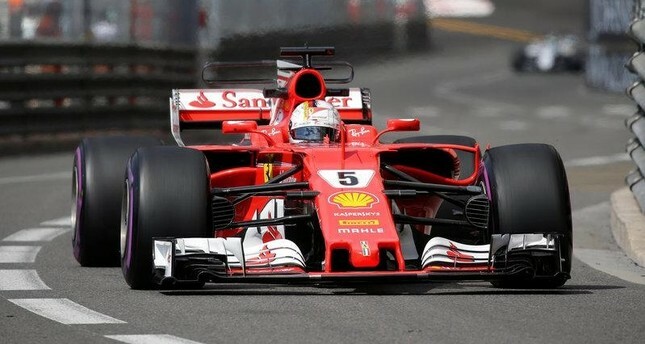 Sebastian Vettel is seeking to win his first race at his local Hockenheim circuit to build on the momentum of his British Grand Prix victory. The Ferrari driver is out to extend his eight-point lead over Lewis Hamilton at what is also a home German Grand Prix for the Mercedes team. Hamilton won at the last Hockenheim race two years, with Germany off the calendar last year and the future of the race also in doubt. Hockenheim is around 50 kilometers from Vettel's home town of Heppenheim, but he is yet to win a grand prix on the circuit, and his only win in Germany came five years ago at the Nurburgring. "Maybe we can do it this year. That so many friends and family will be there makes it special," Vettel said. Organizers are hoping for the biggest crowds for 12 years when Michael Schumacher was the big attraction. There could well also be a big contingent from the Netherlands to cheer on Red Bull's Max Verstappen. Austrian GP winner Verstappen and team-mate Daniel Ricciardo were second (Ricciardo) and third (Verstappen) behind Hamilton two years ago. "I'm sure quite a few Dutch fans will also come over and visit the track to support me," Verstappen said. "At the last German Grand Prix we had a double podium, so that is of course a good memory. Hockenheim is a historic track with some interesting corners, especially in the last sector where you can try different lines, so that's enjoyable." Mercedes is keen to get back on track after just one win in the last five, with motorsport chief Toto Wolff upbeat for the second half of the season. "Hockenheim will mark the halfway point of the 2018 season. We've had a decent first half - on the one hand, we've left points on the table and had to do damage limitation more often than we would have wanted," he said. "On the other hand, we still scored a good amount of points, both drivers (Hamilton and Valtteri Bottas) have shown strong performances and we have a fast car. So there are many reasons why we're looking forward to the second half of the 2018 season. "We're hungry, ambitious and want to kick on from here." Vettel is on 171 points in the standings, with world champion Hamilton on 163 and Ferrari's Kimi Raikkonen third on 116. Past records give both Ferrari and Mercedes optimism for a good result on Sunday. Eleven of Ferrari's 21 triumphs at the German Grand Prix have taken place at Hockenheim - a circuit record - and they also recorded the last three one-two finishes at the track; in 1999, 2006 and 2010. Mercedes won the last two races at the circuit - in 2014 (Nico Rosberg) and 2016 - while Hamilton is looking to join Schumacher's record of four wins in the race.